I love afternoon tea. It combines three of my favourite things – yummy desserts, a nice pot of tea, and catching up with good friends. 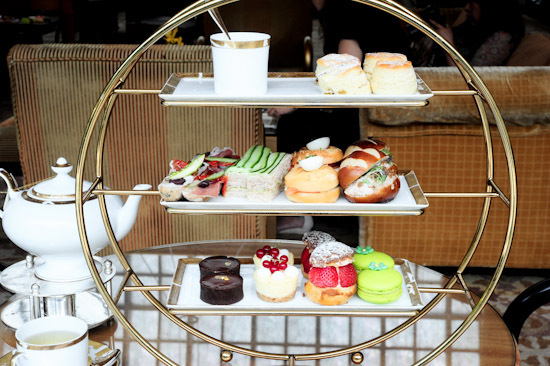 I’ve always heard about the afternoon tea at Chihuly Lounge, Ritz-Carlton Millenia, but for some reason, I never had the chance to try it. 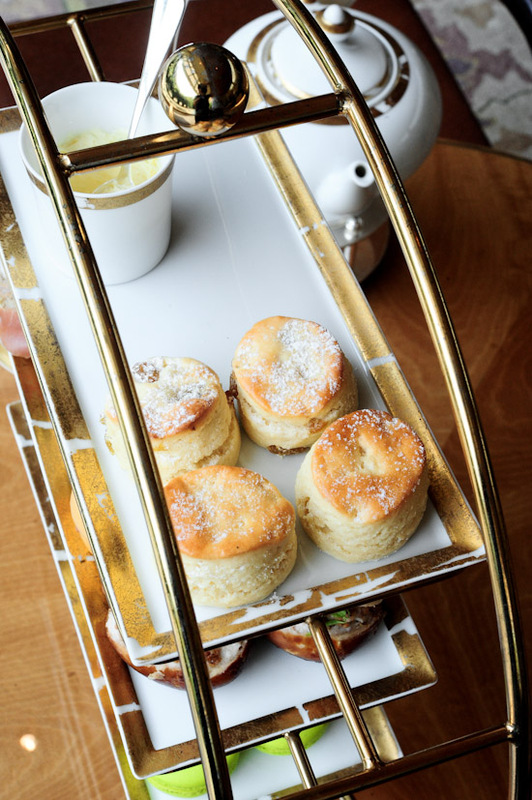 When I finally went there recently for an afternoon indulgence, I must say that they did not disappoint – if anything, exceeded expectations. I really like Chihuly Lounge. I like that the place has a high ceiling – allowing light to flood the lounge – and it feels spacious and comfortable. I like that the lounge has good chill-out music, it is a lovely place to sit and watch the world go by. I like that the staff are attentive, knowledgeable and friendly. And of course, I love the cakes, pastries, and sandwiches, that are oh-so-delicious. Unlike the usual hotel afternoon tea, Chihuly Lounge offers a decadent eight-course afternoon tea set menu ($39++/pax, from 2.30pm to 5pm). After you have settled down, the staff will bring out a pretty tea mocktail, which is served with a selection of crackers with XO chilli sambal. 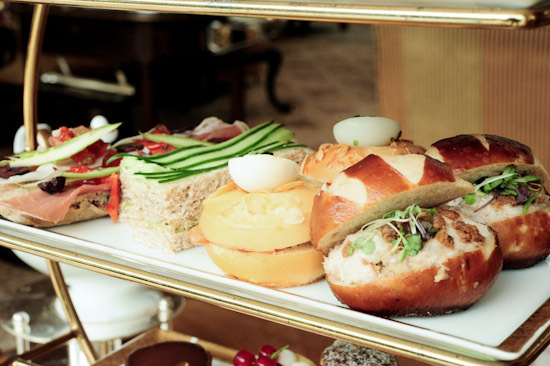 Then, you will proceed to choose a pot of tea — from a wide selection on the menu — or freshly-brewed coffee. Before the main event, you get to enjoy the carving station trolley which gives you the choice of beef wellington or salmon coulibiac (note: this changes on a weekly basis). 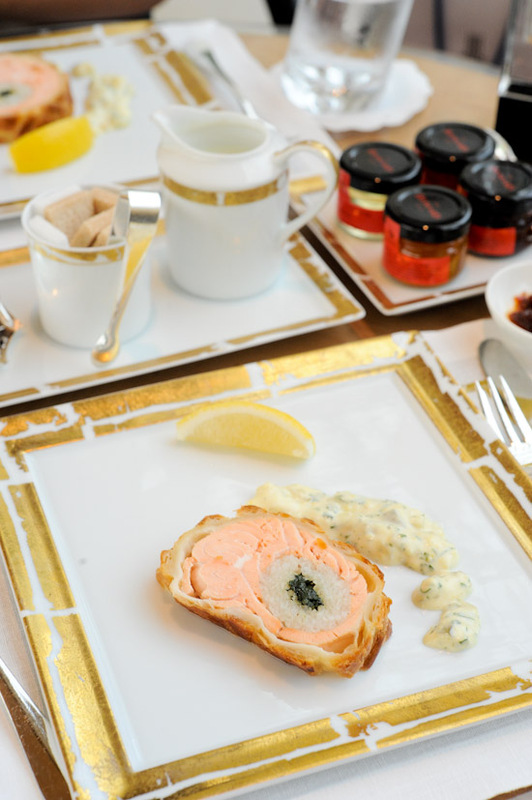 And finally, the tea set stand consists of smoked chicken and chestnut salad in laugen roll; avocado and cream cheese in whole meal finger and cucumber; parma ham on olive baguette; Scottish smoked salmon in almond buns; plain and raisin scones; pistachio macarons; lemon cheese cake with meringue; chocolate praline tarts; and strawberry puffs. 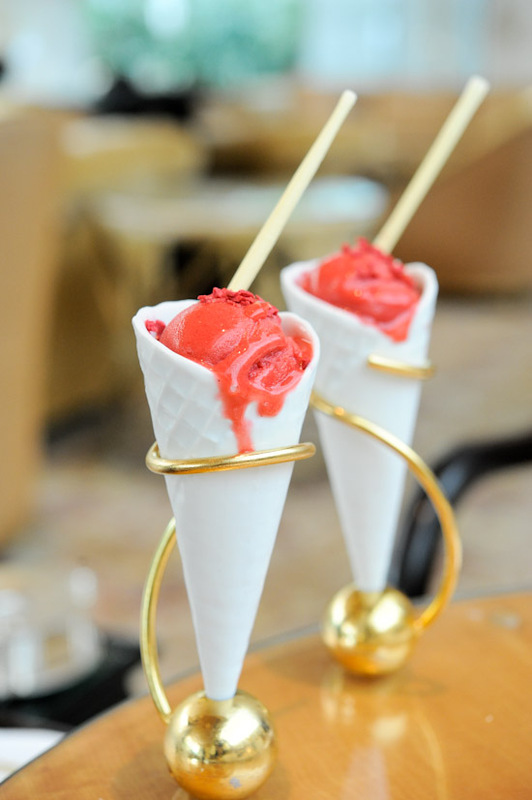 If you still have room, you must try the raspberry sorbet which comes in a very pretty ice cream cone. 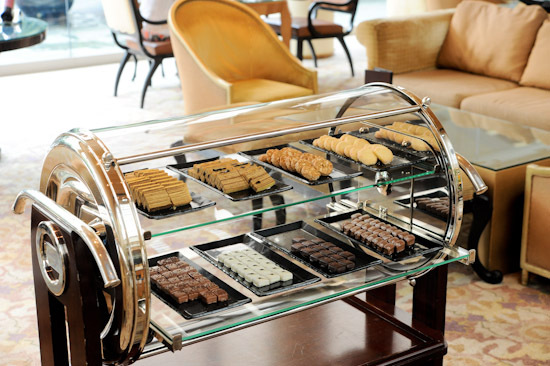 Last, but not least, there is the dessert trolley with tea cakes, cookies, kueh lapis, and pralines. You get to enjoy the whole experience for just $39++/person. 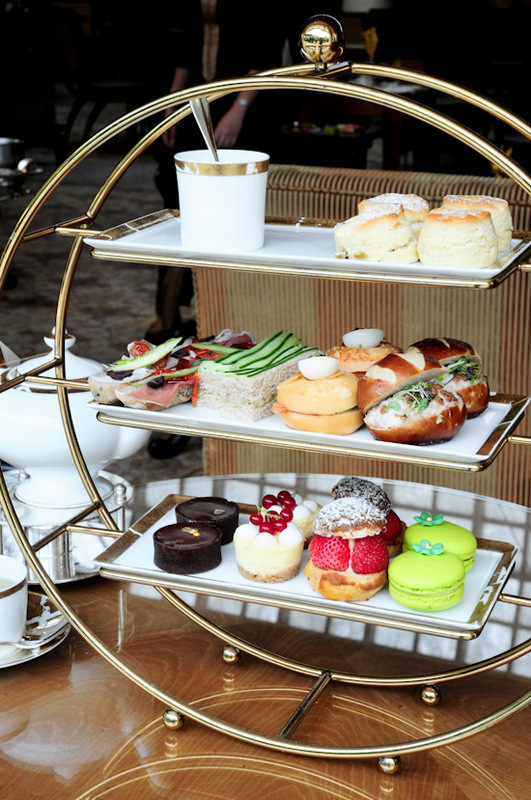 For a five-star afternoon tea, I would definitely recommend Chihuly Lounge at Ritz-Carlton Millenia. Note: This was an invited media tasting.